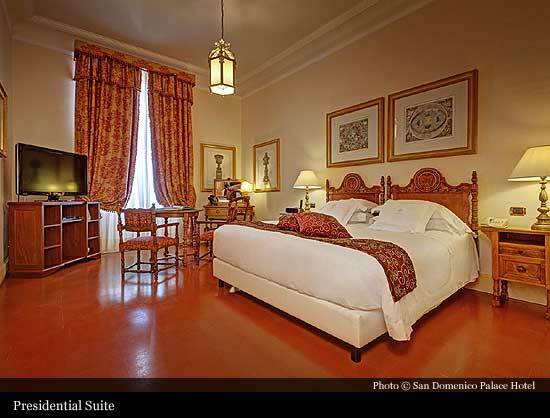 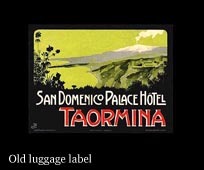 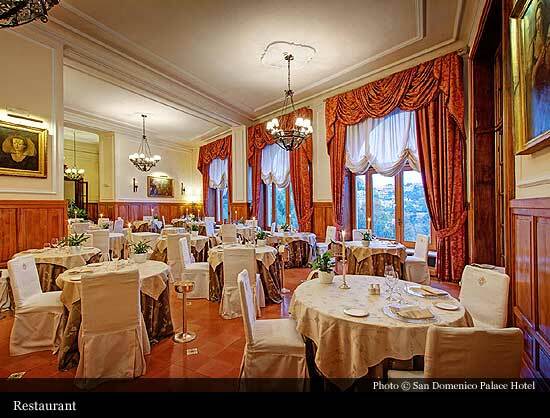 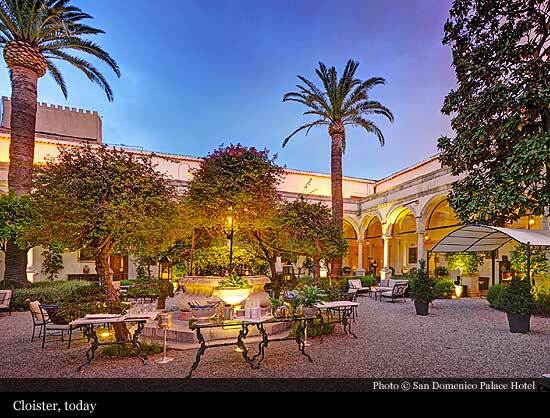 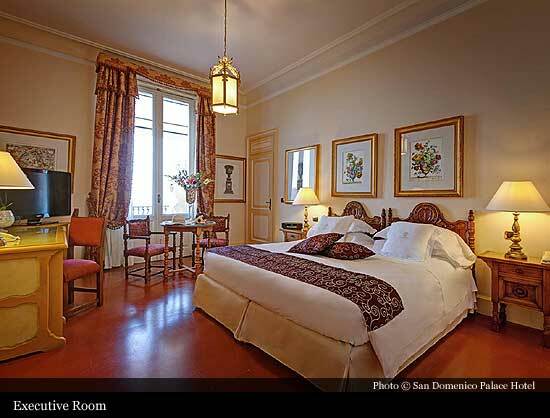 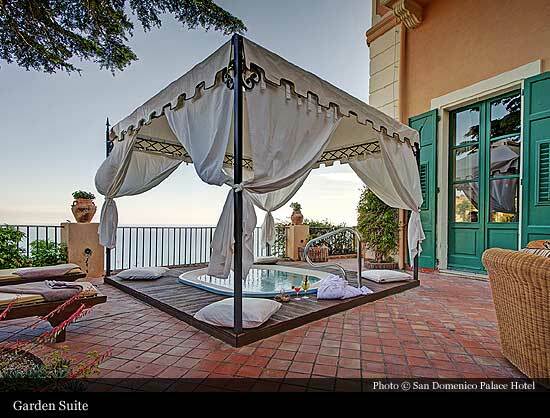 Built on the original structures of a former Dominican monastery, dating back to the year 1430, San Domenico Palace was transformed into a hotel in 1896 by the descendants of the monastery’s founder, Damiano Rosso, a nobleman from Catania of the princely family Rosso di Altavilla, who built and donated it to the friars when he himself became a Dominican of the same monastery. 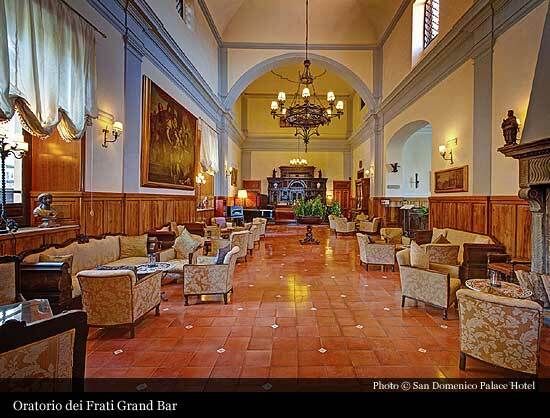 Hotel consists of two main buildings, the original 15th century convent - the 'Ancient Convent' wing featuring original monks' cells converted into luxury accommodations and the Grand Hotel wing, which was added to the hotel in 1896 and it reflects the popular at the time, Liberty style. 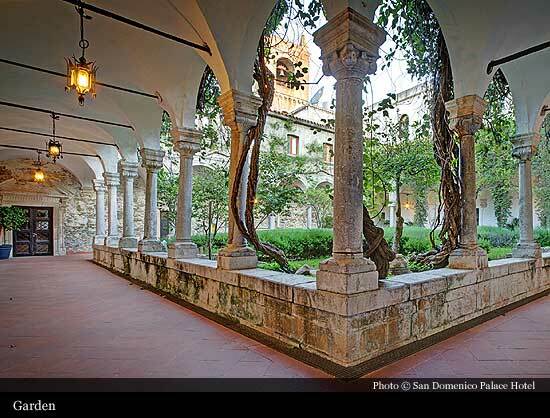 Much of the monastery's original structure is preserved and nowadays, classic decor, original frescoes, antique furnishings are all tastefully blend with all modern comforts and conveniences. 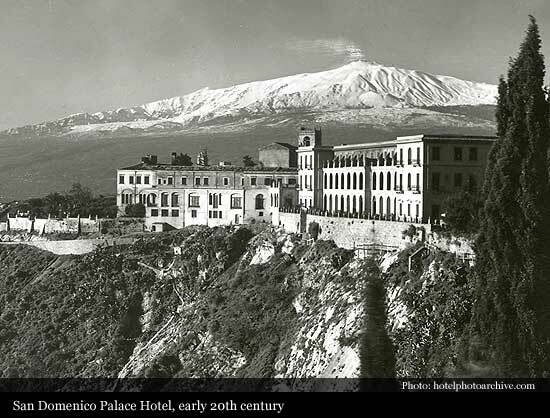 Since its opening, the hotel attracted royalty, artists, writers, scientists and Heads of State, as well as, it was the premier destination for international summit meetings and extraordinary special events. 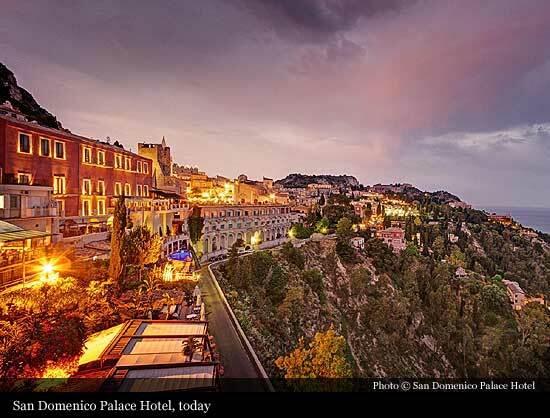 Golden book include names of: Oscar Wilde, Guy de Maupassant, D H Lawrence, Umberto di Savoy, William II of Hohenzollern, Kaiser of Germany, Prince of Piedmont, Princess Irne of Greece and Denmark, Gabriele D'Annunzio, Richard Wagner, Liz Taylor, Richard Burton, Helmut Berger, Maria Callas, Luchino Visconti, Marcello Mastroianni, Sophia Loren, Audrey Hepburn, Greta Garbo, Igor Stravinsky, Marlene Dietrich, Henry Miller and many, many more. 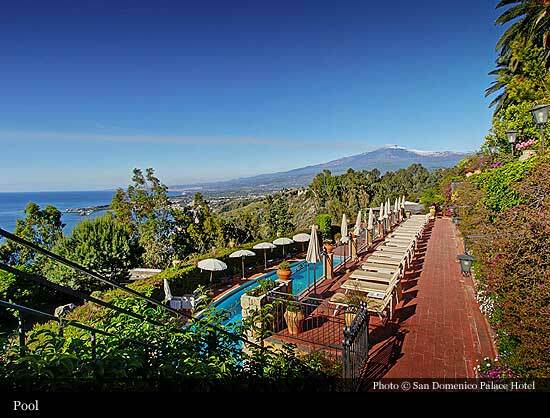 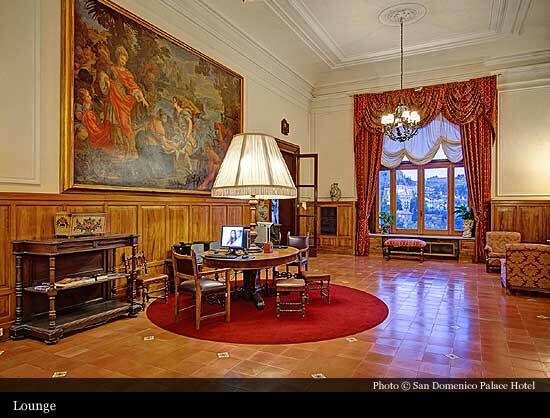 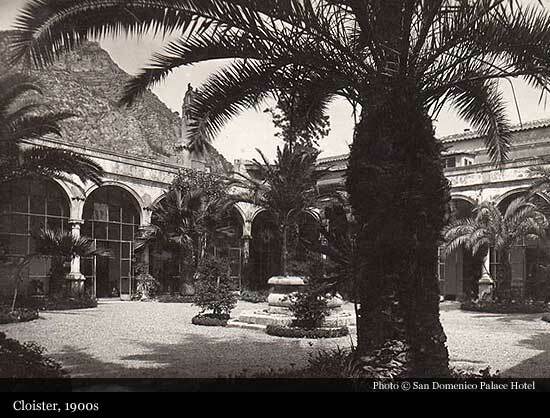 During World War II, Field Marshall Albert Kesselring made San Domenico his headquarters.